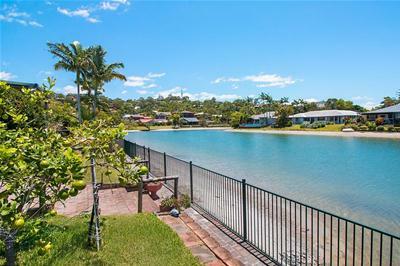 If waterfront living appeals to you, this older style home and entry level price may well be perfect for you. 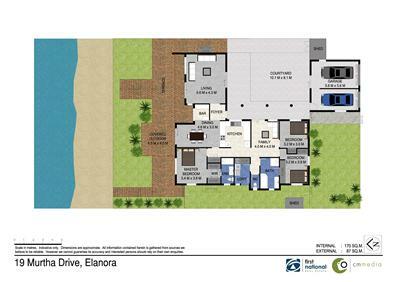 North facing and with a sandy beach on Pine Lake it has been designed to maximise the water views from multiple rooms within the home. 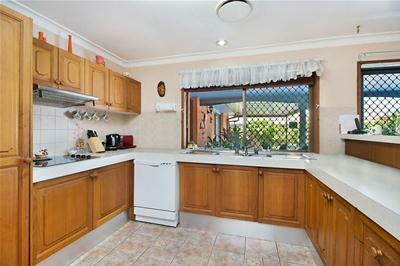 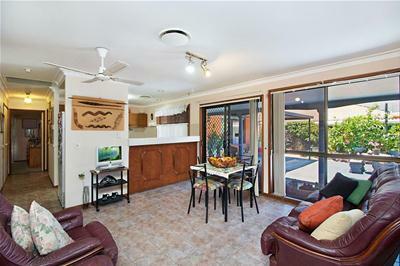 - Spacious timber kitchen layout flows to the family area. 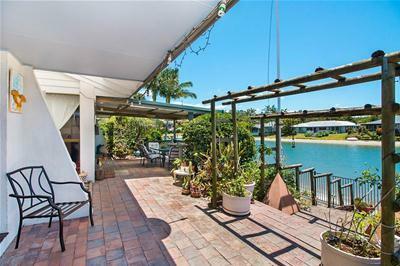 - Covered & paved entertainment area overlooking your waterfront location as well as a private courtyard. 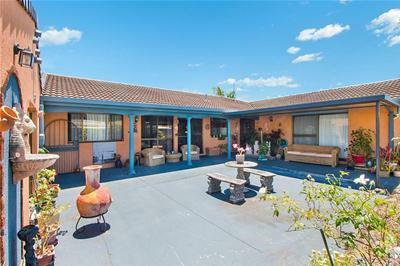 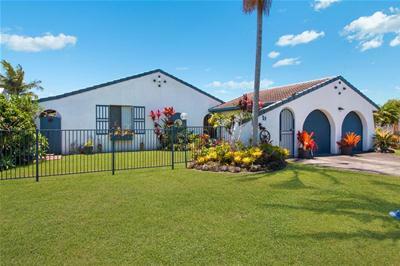 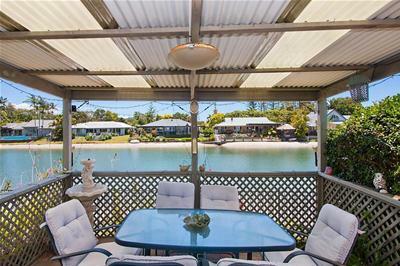 Located in a premiere position close to Schools, shops, transport Currumbin and Tallebudgera Creek/beach, walking paths, BBQ facilities and playgrounds this property provides ample opportunity for your family to get out and enjoy the Gold Coast at your doorstep! 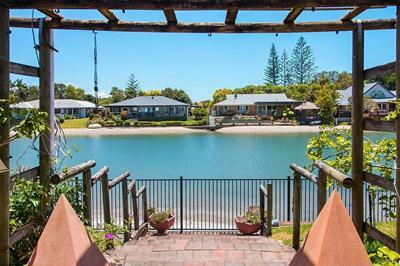 You truly need to inspect this North facing water frontage location!